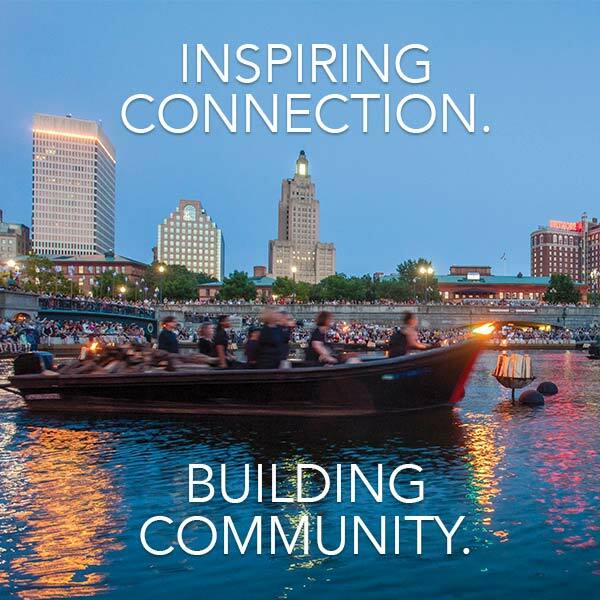 WaterFire Providence presents a full lighting on Saturday, May 27th sponsored by Bank of America and Brown University. The lighting is scheduled to start just after sunset (8:10 p.m.) and is set to run through 12:30 a.m.
Get the May 27tth, 2017 music program as a Spotify playlist. Tonight’s music program features content from the Brown University Music Department. To learn more about Brown University’s Music Department, please visit brown.edu/music. performed by Miles Davis et al. Excerpt from the song “The World Was Wide Enough” from the musical play Hamilton, written by Lin-Manuel Miranda.